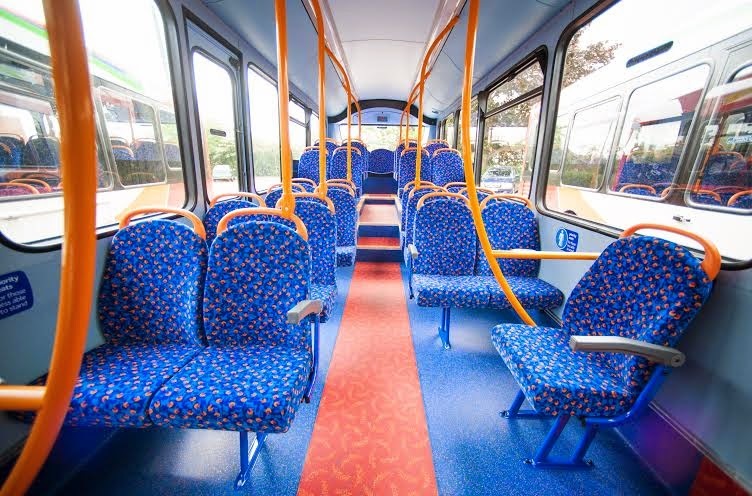 Baroness Kramer, Minister of State for Transport, has unveiled a £1.6m fleet of 12 new Stagecoach buses on a visit to Exeter to see how the bus operator and local authorities are working together to boost public transport in the south-west of England. The latest new fleet of vehicles brings Stagecoach’s investment in new buses in Devon in 2013-14 alone to around £10million. 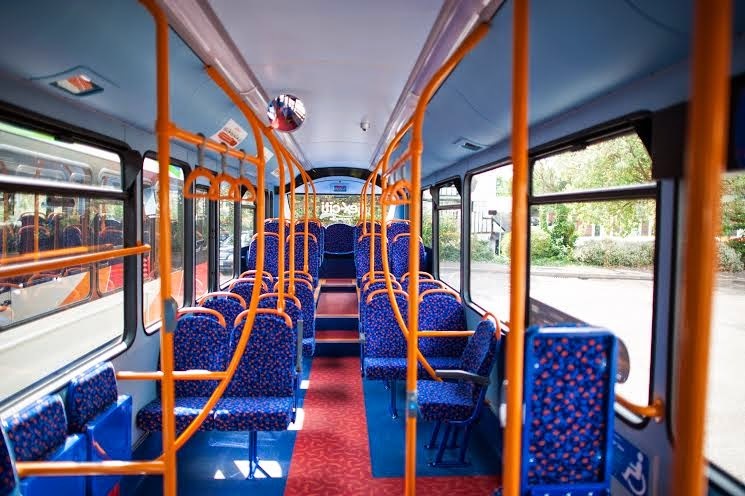 Stagecoach, which has been independently assessed as offering the lowest fares of any major bus operator in the UK, carries more than 27 million passengers a year on its bus services in the south-west. Customer satisfaction with Stagecoach bus services in the region is one of the highest in the country, with the latest Passenger Focus research showing 90% are satisfied with their overall service. Baroness Kramer met senior directors from Stagecoach as well as representatives from Devon County Council, and Exeter City Council, during her visit. They discussed how working together on areas such as quality partnership corridors and bus priority measures helps improve overall reliability and punctuality, boosts customer satisfaction and gets more people back on board the bus. 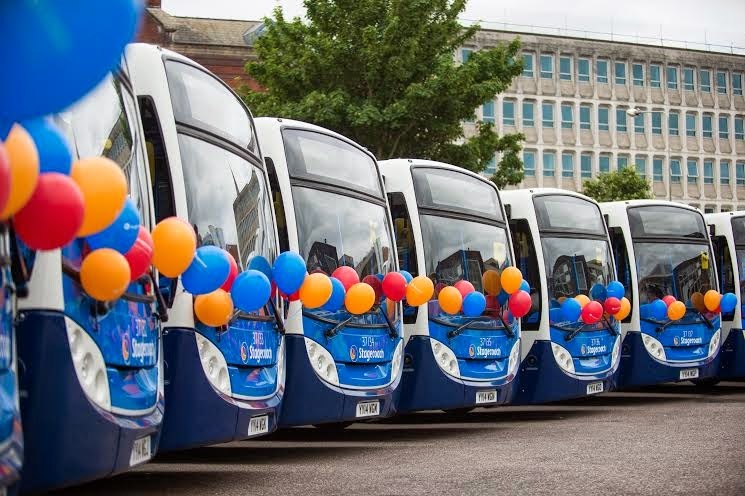 Transport Minister Baroness Kramer said: "The twelve new buses launched today will strengthen the already successful services run in Exeter by Stagecoach. The company’s investment in its bus fleet is an expression of confidence both in Exeter’s growing local economy and the importance of public transport. I am keen to support the strong partnership between the local authorities and the bus operators to continue to promote such growth." Recent analysis by KPMG shows bus priority measures produce an average of £3.32 of economic benefits for every £1 spent, with further benefits in social welfare and public health. Further research commissioned by Greener Journeys has suggested that if bus journey times for commuters in England could be improved by 10%, this would be associated with over 50,000 more people in employment. 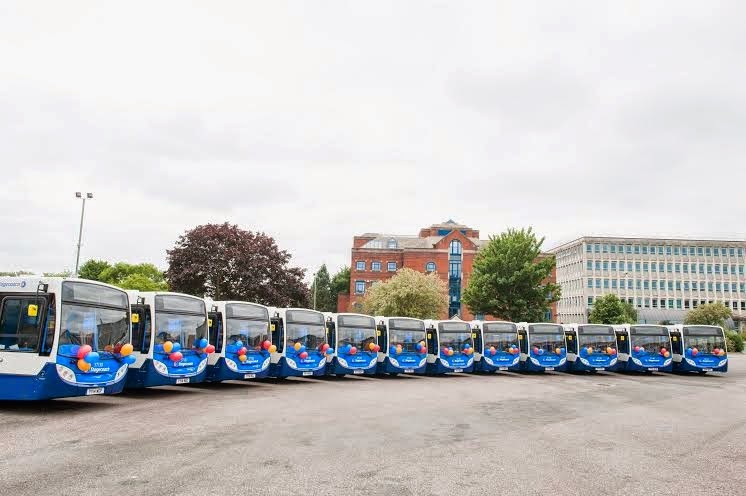 Michael Watson, Managing Director of Stagecoach South West, said “The strength of our city and rural networks is not just down to the services we deliver and the investment we are making. It is also down to the partners we work with. "The fact that 90% of Stagecoach South West’s bus passengers are satisfied with their overall service is a great endorsement of the commitment of our people and our strong partnership with our local authorities. "Buses are critical to communities and our economy in the south west and I look forward to us working together to continue to support Exeter’s economic growth in the years to come." Councillor Peter Edwards, Leader of Exeter City Council, said: "The Minister’s visit comes at an exciting time for the city. The redevelopment of the bus station offers an incredible opportunity to take our partnership working one stage further by creating a city centre interchange and leisure complex fit for the 21st century." Councillor Andrew Leadbetter, Devon County Council’s Cabinet Member for Economy and Growth, and Cabinet Liaison for Exeter, said: "We welcome this further investment in new buses for Exeter. 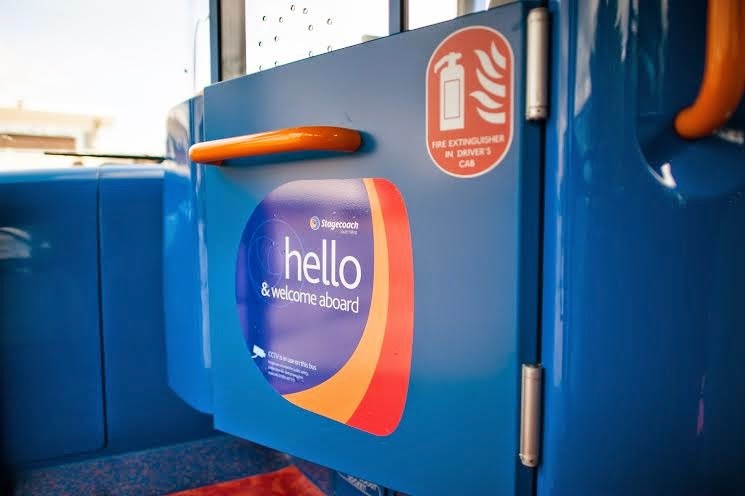 We enjoy a successful working partnership with Stagecoach and this shows that by working together we can continue to deliver improvements for the city and wider area." The 12 new vehicles, which all carry the Ex-citi branding, will go straight into service and be used on a selection of city routes.